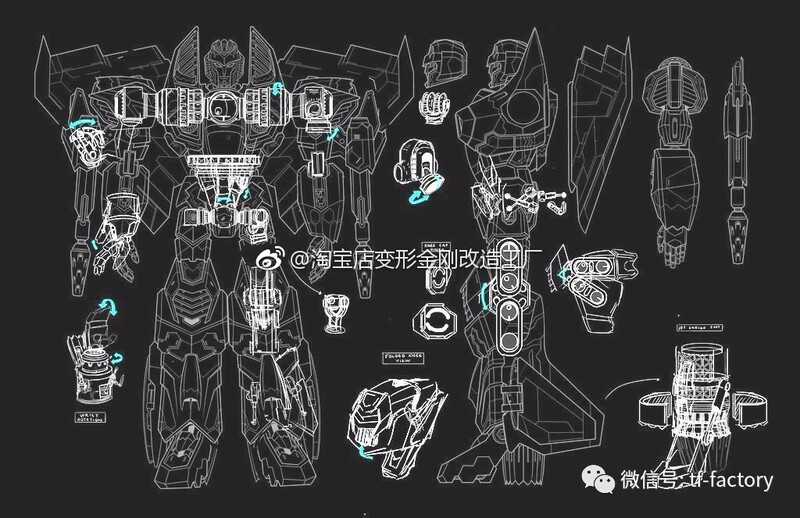 Weibo user TF-Factory has released several artwork for the new Transformers Evergreen designs we saw yesterday. 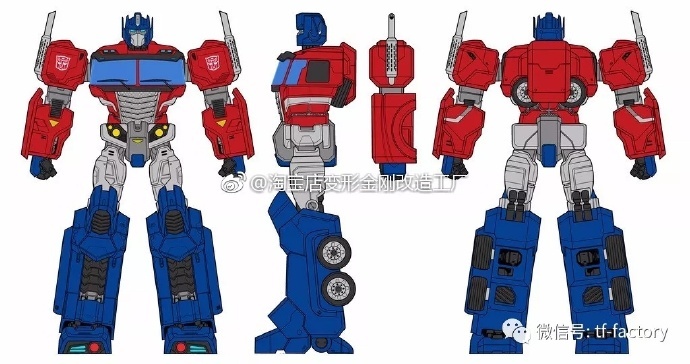 These artwork (known by Hasbro as ‘Pretengineering’) gives us a good look at back and side views of Evergreen characters such as Wheeljack, Soundwave, Starscream, Barricade, Grimlock and many others. Man that looks weeeeeird to see Starscream so short. I hope 17 is a typo and it's supposed to be "27 feet tall". Otherwise, he's going to have a very hard time overthrowing Megatron hahahaha. Wait where are these sizes coming from? is this picture confirmation that the romeo and juliet law guy from aoe is in cyberverse, too? Bumblebee and Starscream now have the same height, and Windblade is either too shy or too agressive to be measured. Oh that's another issue I'm having: Out of hundreds of Dark Wonder/Classic Badges/Concepts packs I opened, I only got one or two cards. It's virtually impossible to obtain all without trading and the traders have high demand and will deny even if you have 2nd Edition items of the items they want. I still have some dupes from Classic Badges (wanted to get the whole set from random packs, had to trade for the final card), but not much else. Was really lucky with Dark Wonder – got 8 cards, 3 of them dupes, then traded all dupes 1-1 for the missing cards. It's getting crazy. First hard to obtain but still farmable Orion Pax, then Swoop that was gone after at most several hours, now this. And it seems that most of them go to people who don't want the items themselves, just to trade them for something totally different. That's exactly what I noticed. When I wanted to exchange for a Swoop I noticed exactly the same thing. They just get them to exchange for a very rare item from another franchise. Unfortunately I only have thousands of Evergreen cards which I got from opening Classic Badges, Dark Wonder and Concepts. It was all sold out within seconds. I wonder if anyone from the boards bought them. Can anybody share pictures of today's Bayformers cards set (reverse side)? Fans of the g1 toon were 5-13 for the most part. 10 years later during beast wars, bm,rid armada Energon cybertron, these were the parents buying toys for their kids. Thank the fans of g1. They’re the ones buying kids toys. Most of them aren’t in the fandom. But they did get exposed to transformers and probably thought they were cool. Oh my God, just give it up, man! You are literally trying to say that everybody grew up on G1 and that the G1 fans are responsible for everything being the way it is. Not everyone grew up on Transformers. I know it's hard for you to believe that, but it's true. Beast Wars also happened because G1 was failing. Hasbro had to reinvent the brand to keep it from dying, that's a known fact. If you don't like that your precious 80's cartoon and toyline didn't carry everything to the present day, that's on you. Don't come in here trying to shove that false idea in our faces. Don’t be mad g1 made beast wars happen in every way. If a boy was 10 years old in 85, he would have been 21 in 96 when beast wars came out. If he had kids then he could have easily been buying the tail end of beast machines for his kids. Generally at that time, many people become parents in their 20’s. G1 fans bought the following lines for their kids. Even by your crummy math the g1 crowd had to have bought toys for their kids at sometime. What a lot of younger fans fail to realize is the impact shows like transformers gijoe human and others had because they were on every day after school. Beast wars while a good show did not have any where near that social impact being on at 5 am. That design actually first showed up in Animated , which Prime's design is based on. Those g1 fans are and were the parents. I think an original character deserves an original name, and if the result is memorable enough, a lasting presence in the franchise. Nameslap characters are here today, gone tomorrow, they have nothing in common other than a name, and their legacy is confusing. Either that or they end up overwriting their original character. Not a big deal for nobodies like Micromaster Barricade. There have been multiple versions of Optimus Prime, but Optimus Prime is never a nameslap. A character should be open to interpretation, but there's enough there to work with and there's a lot of scope to alter that design and still have something that anyone could tell you was Optimus Prime.